Original Australian Daybill movie poster The Jungle Book by Rudyard Kipling's is a 1994 live-action American adventure film co-written and directed by Stephen Sommers, produced by Edward S. Feldman and Raju Patel, from a story by Ronald Yanover and Mark Geldman. 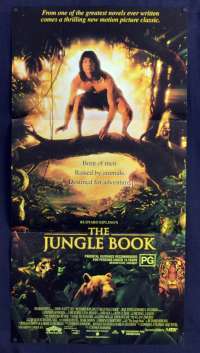 It is the first remake of Walt Disney's 1967 animation adaptation of the Mowgli stories from The Jungle Book and The Second Jungle Book by Rudyard Kipling. 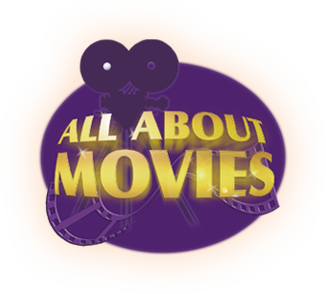 The film stars Jason Scott Lee and Lena Headey, and co-stars Cary Elwes, Sam Neill, John Cleese and Jason Flemyng. In this version, the animals do not speak. Released on December 25, 1994, by Walt Disney Pictures, the film received positive reviews and grossed $43.2 million in theaters. Pin Holes: One pin hole in each of the top two corners of the poster.